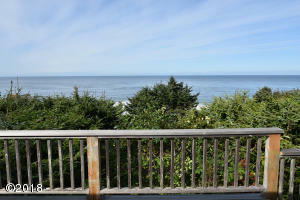 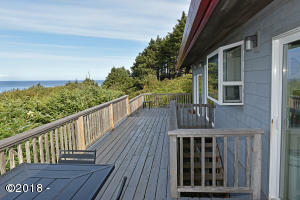 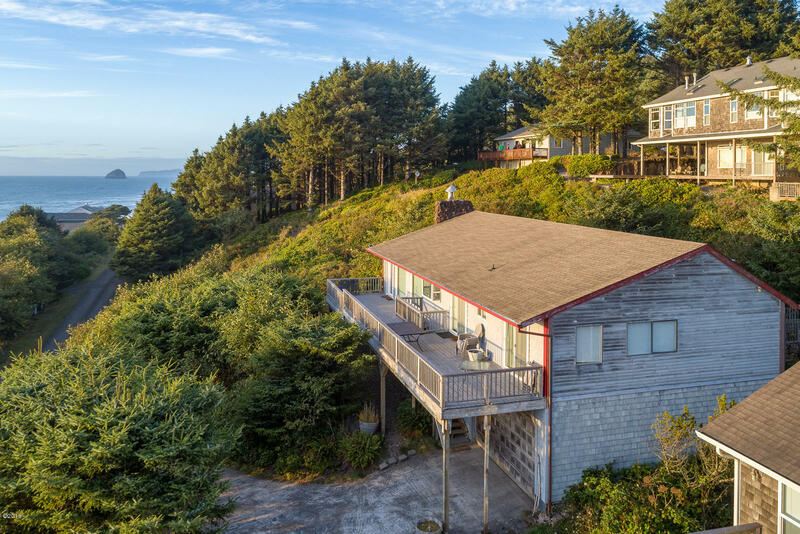 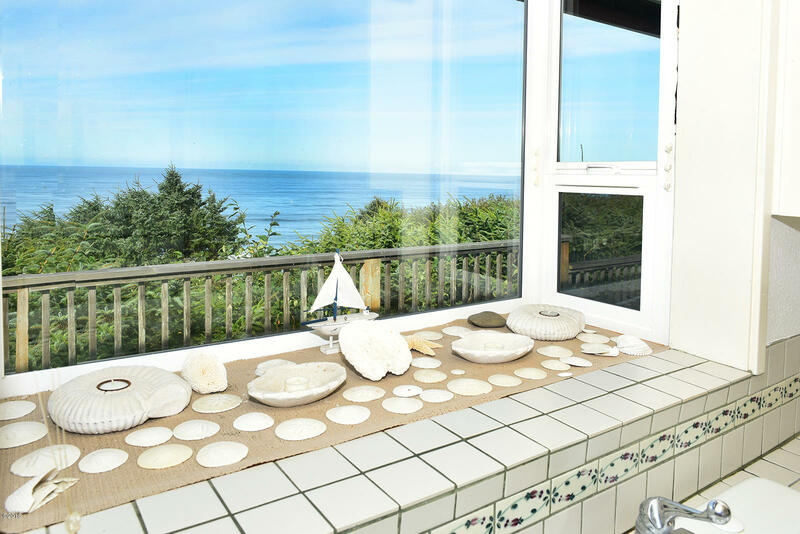 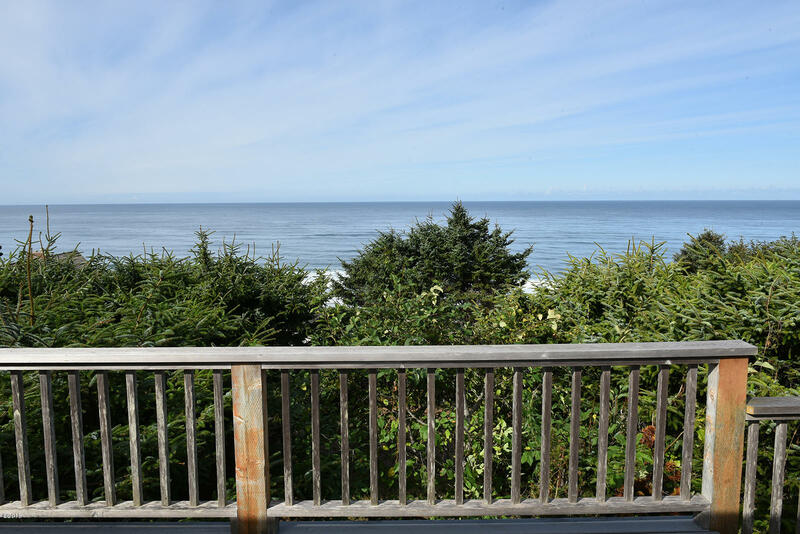 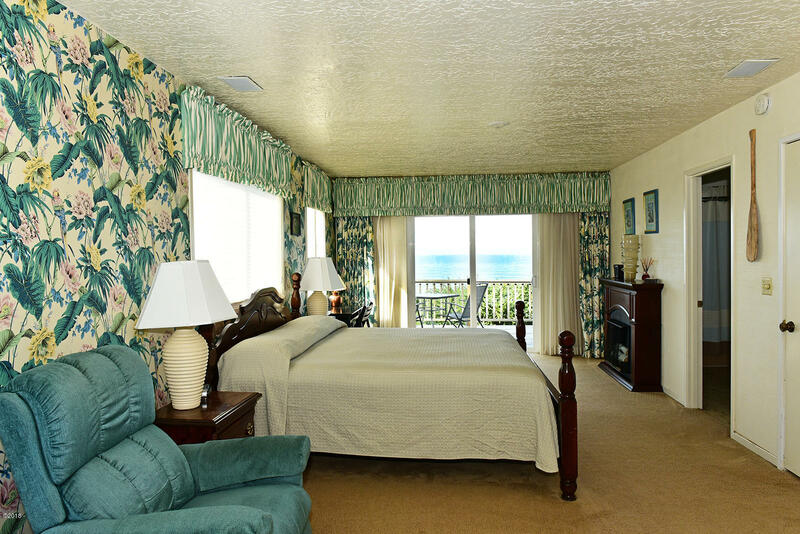 Enjoy high bluff ocean views from the deck and main living area. 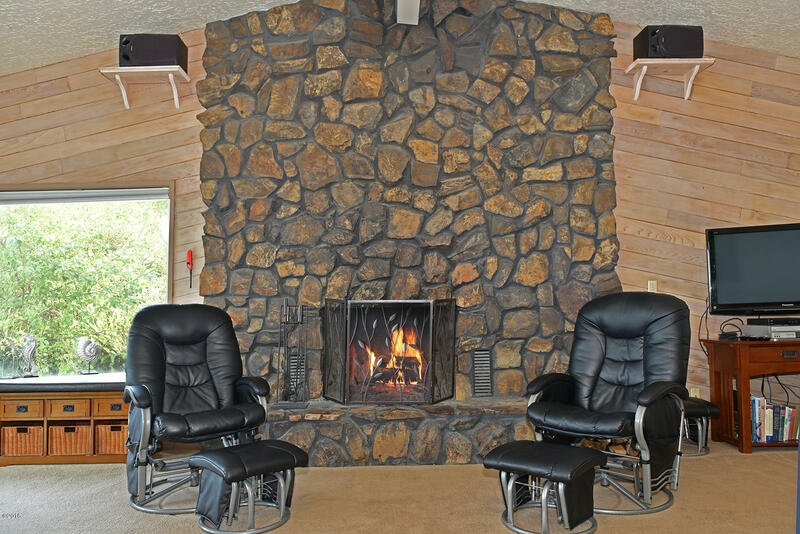 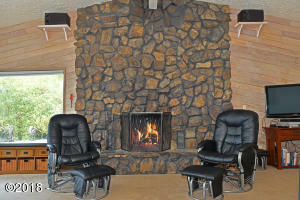 Huge stone wood burning fireplace anchors the great room. 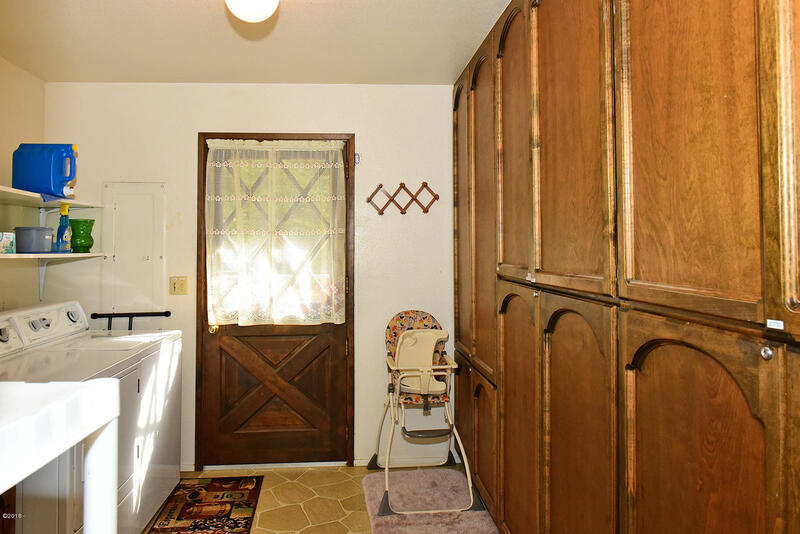 Step up to dining room with convenient wetbar. 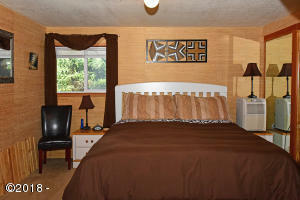 Master suite + second bedroom and bath on main level. 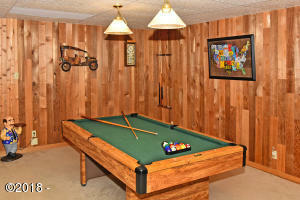 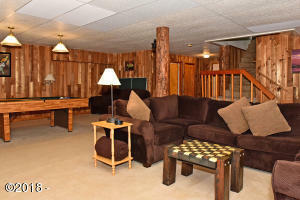 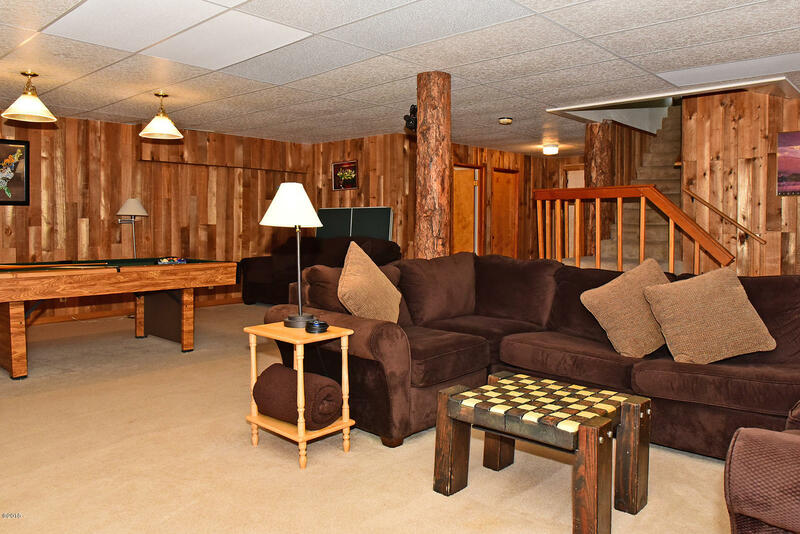 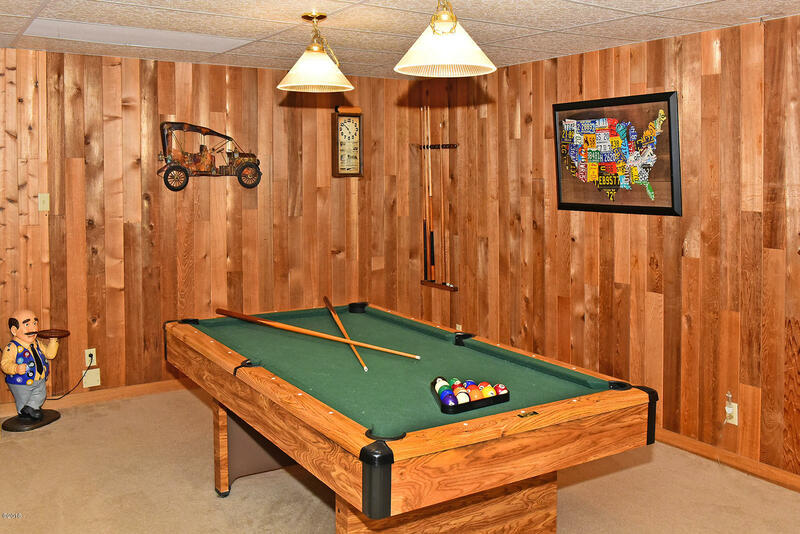 Lower level features a game/media room with pool table, sleeping area and third bedroom and bath. 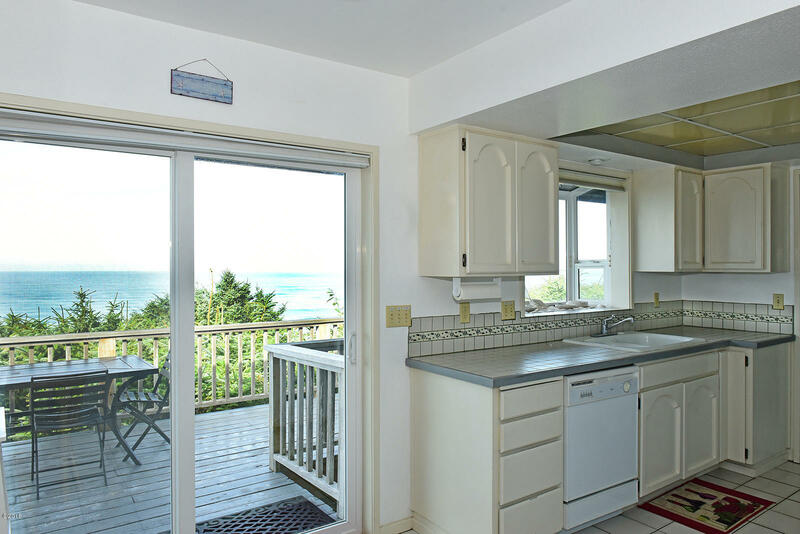 Enjoy grilling on the back deck. 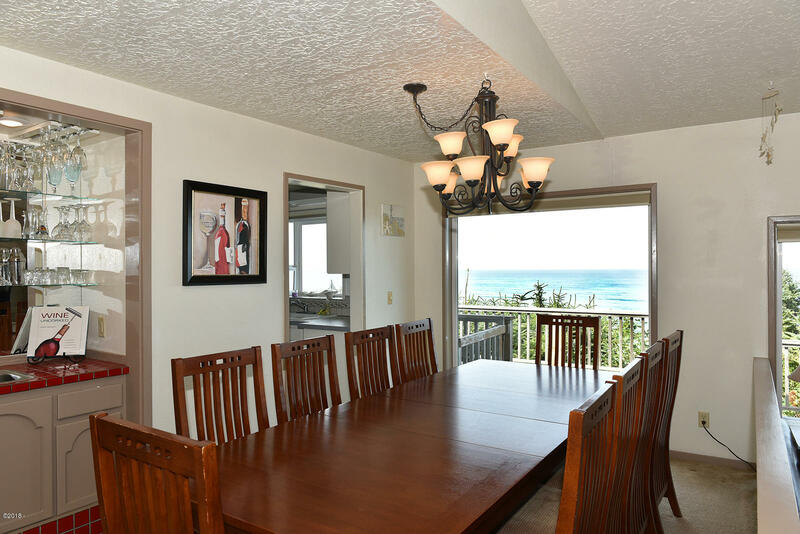 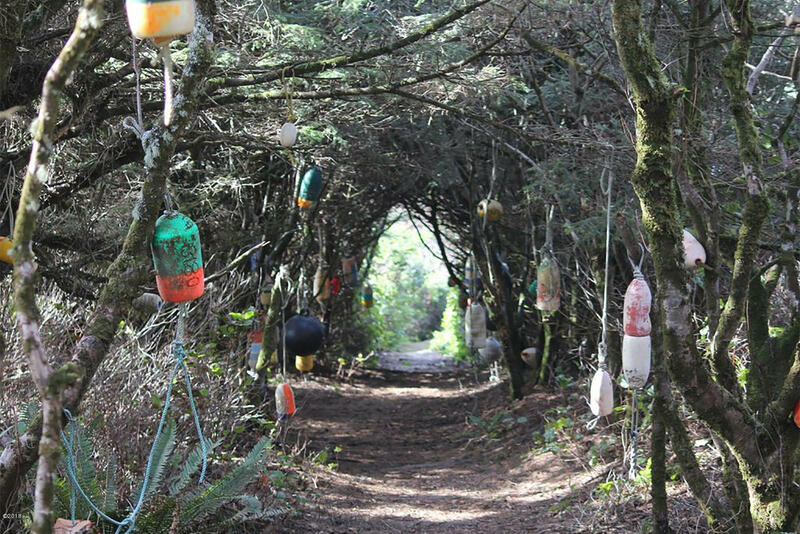 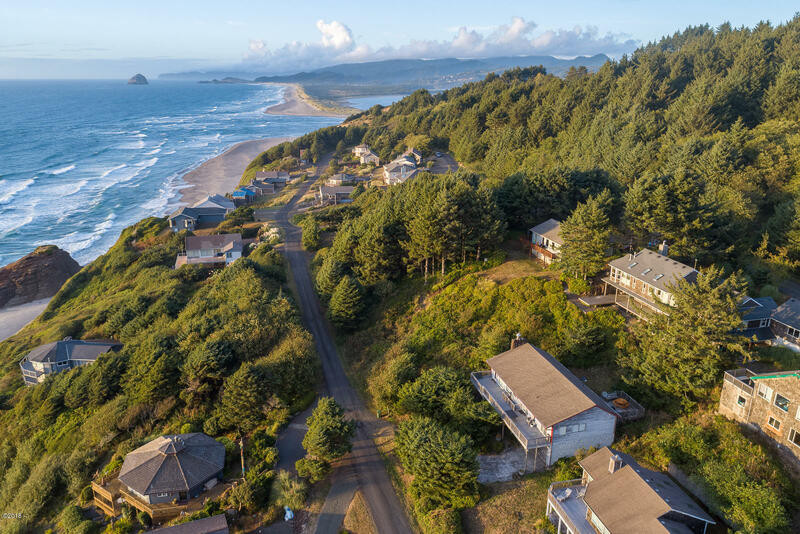 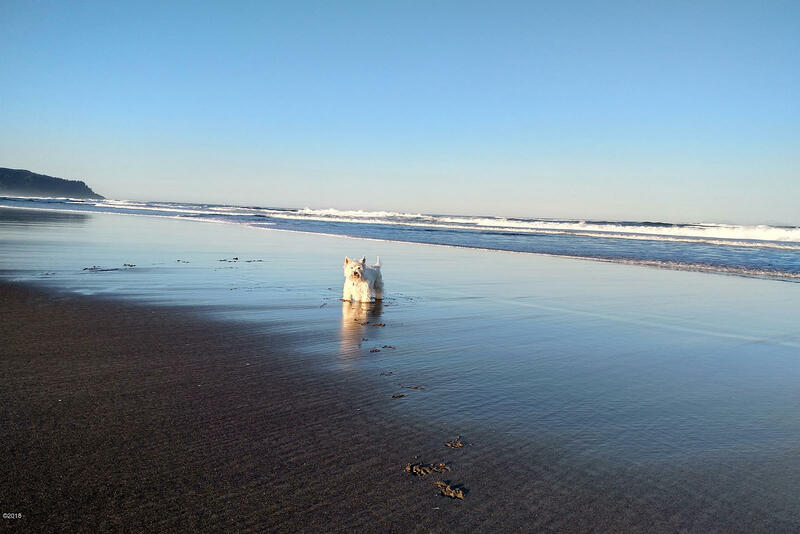 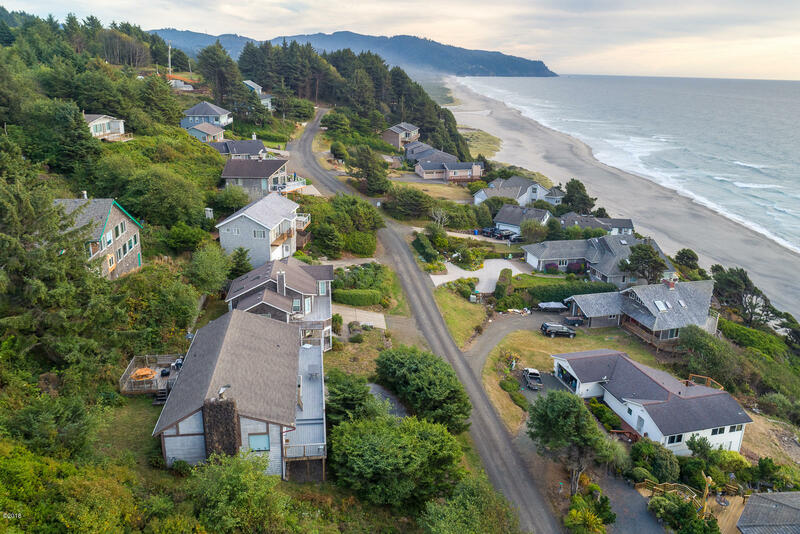 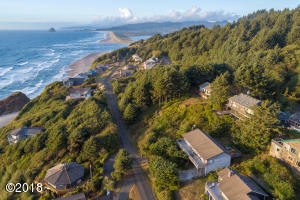 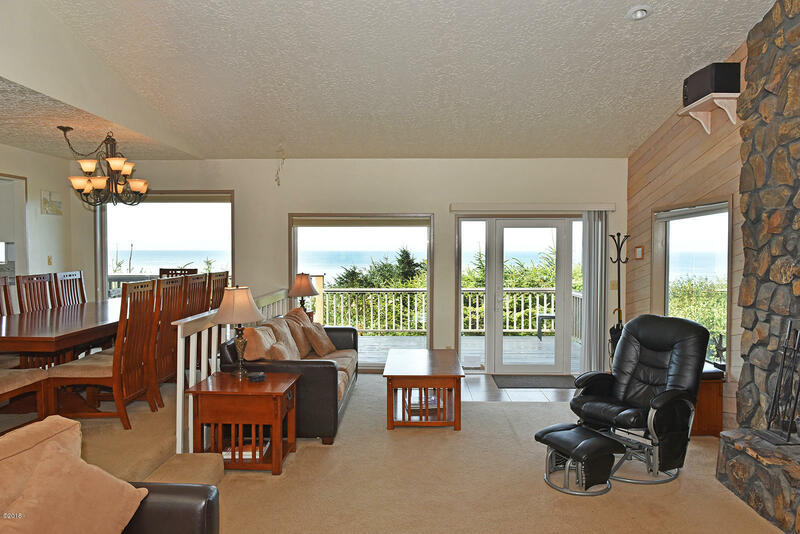 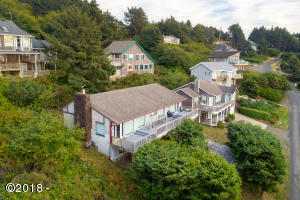 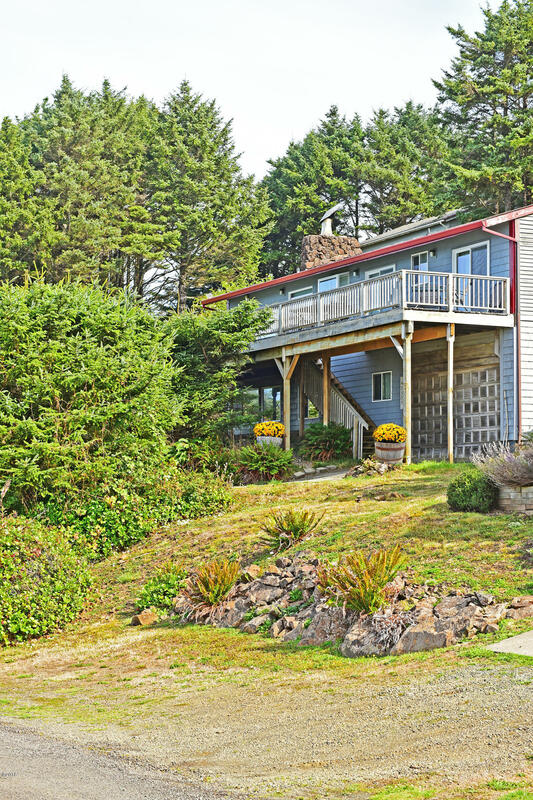 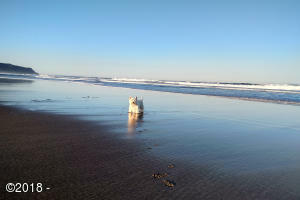 Beach access via trail directly across the street, or short drive to beautiful Winema beach. 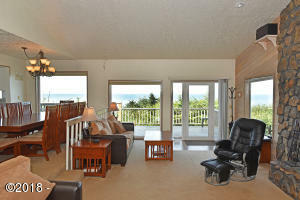 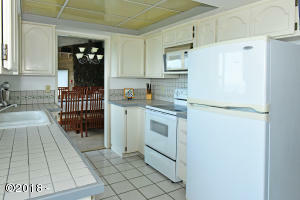 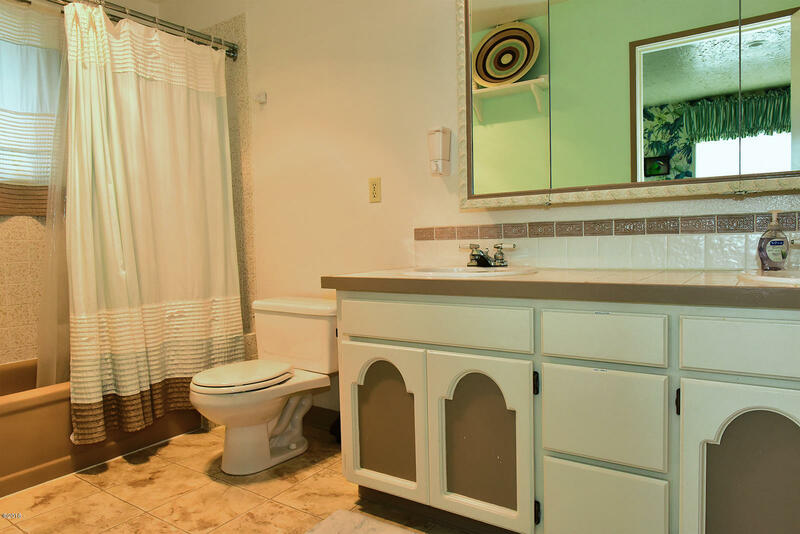 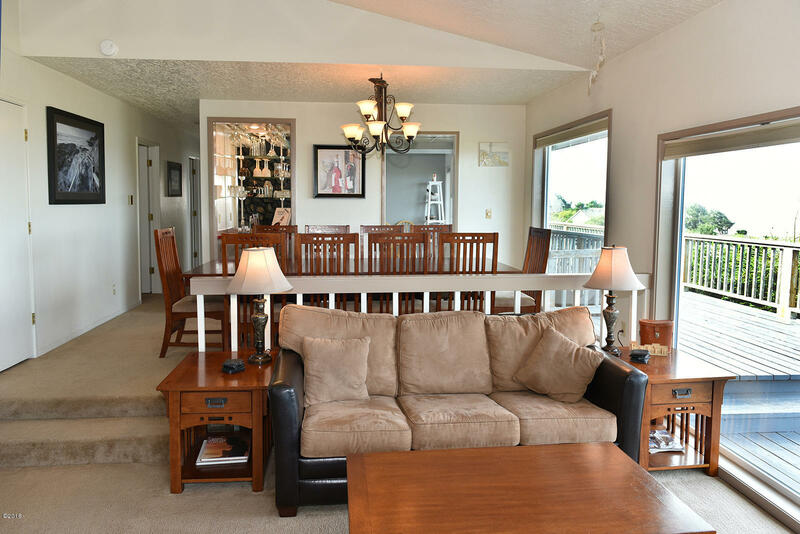 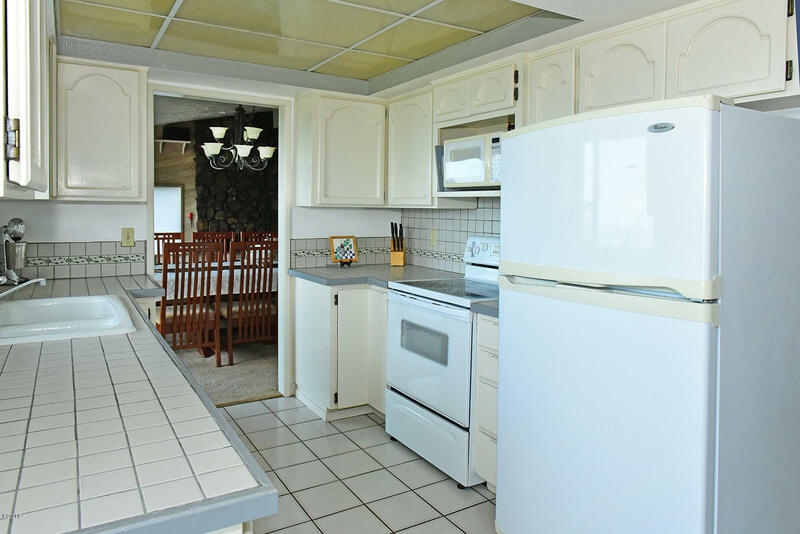 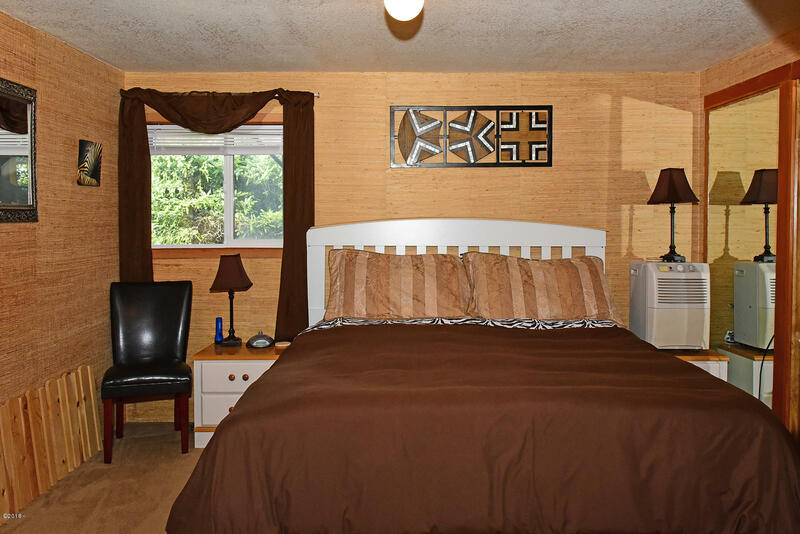 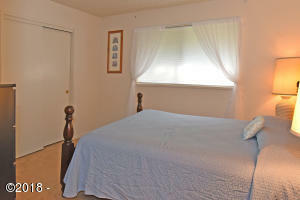 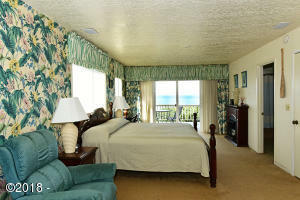 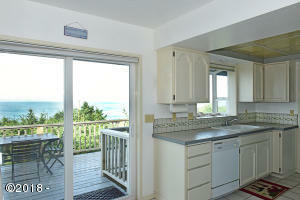 Successful vacation rental is being offered TURNKEY! 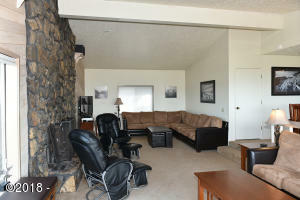 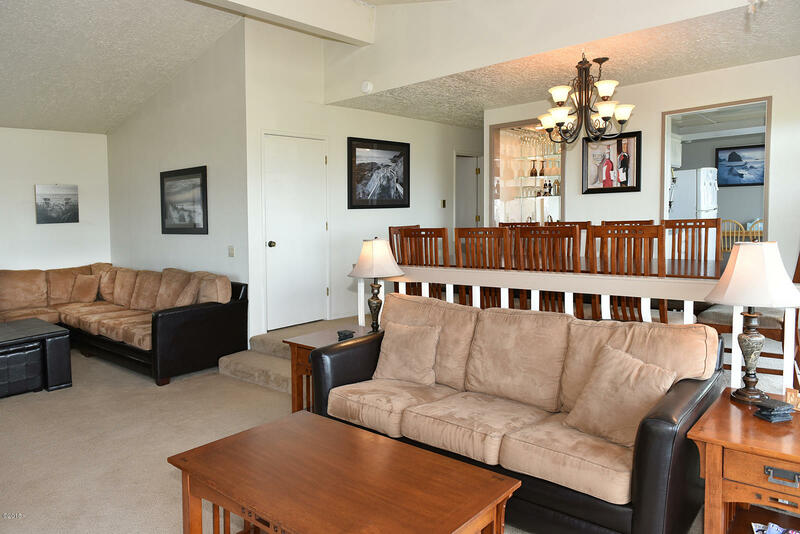 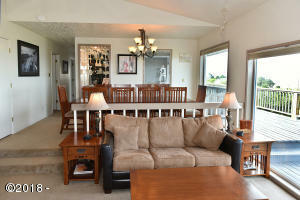 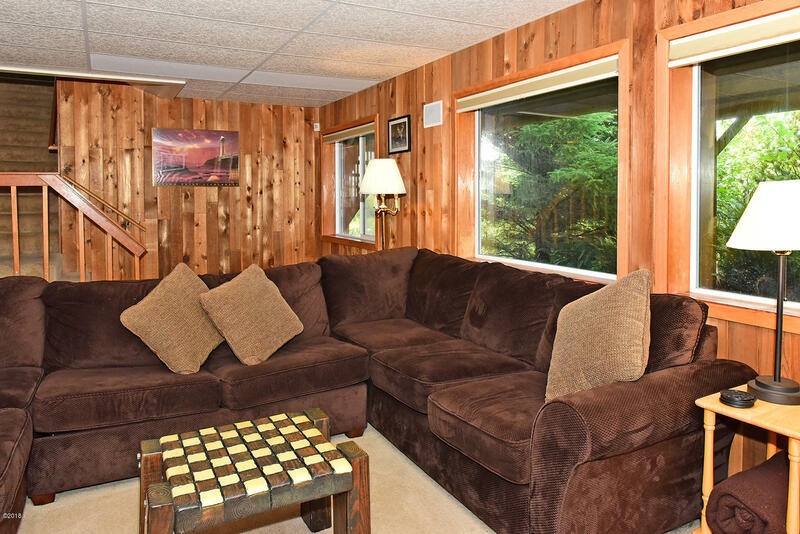 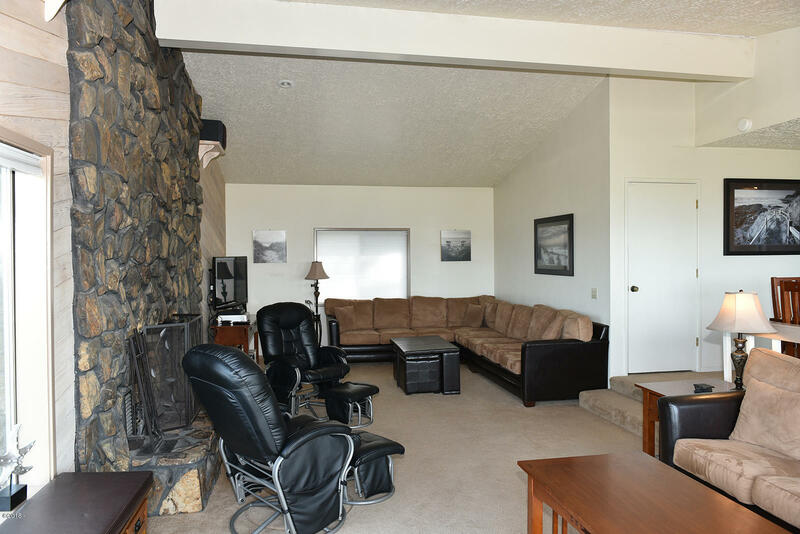 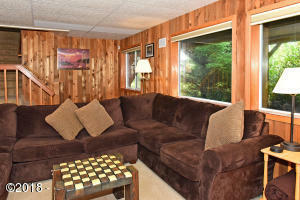 Furnished and ready to rent or enjoy with family and friends. 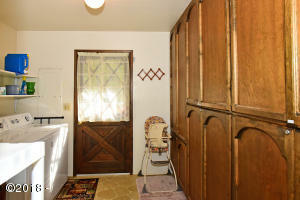 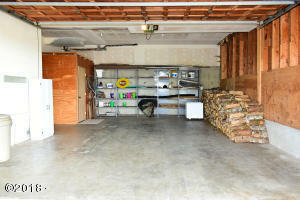 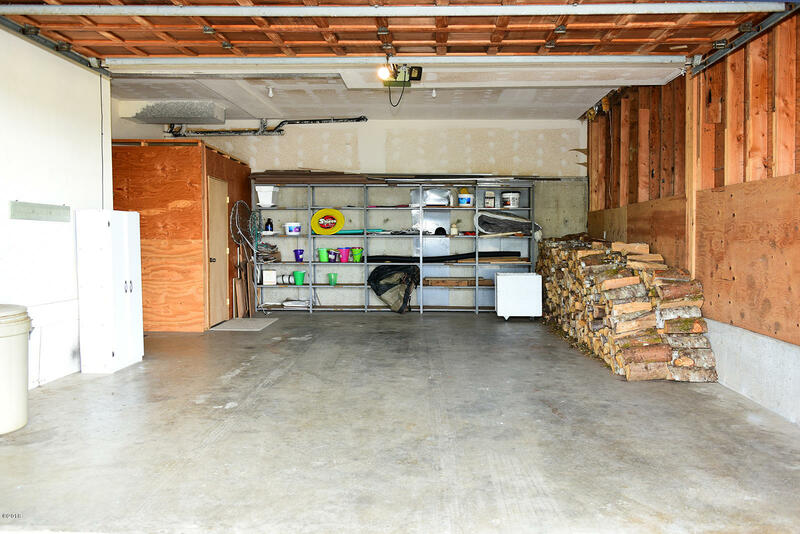 New price includes stain/paint entire home as soon as weather permits. 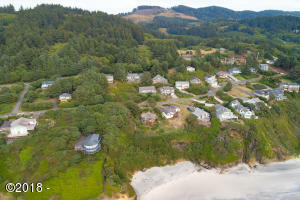 Directions Highway 101 to Winema Rd, straight onto Otzen Way, Right on Horizon View, left on Ebb Tide, Left onto Sundown Way.